Please Note: Each price listing is per student based on a 16 participant class, however, lower participant attendance can result in a higher fee. Please contact our office for the most accurate fee. a) Price: $28.00 if this course is added to another pre-existing course on the same day. Instructor Training: Since we provide instructor training through three different national organizations the price varies depending on the national organization and what courses the instructor candidate wants to present. Please contact our office for an accurate price quote on the instructor status you prefer. Please Note: The above price list is dependent on participant attendance and is subject to change without notice. 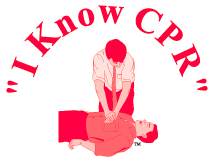 Please contact an I Know CPR representative for exact fees, location of the courses and payment options.